Sterling steadied on Monday (September 12) after its first week of losses in four, with traders debating whether the currency had topped out for the moment as they awaited a speech by U.S. Federal Reserve board member Lael Brainard. 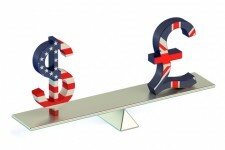 The pound dipped last week against the dollar and euro but has broadly done well in the past month as a handful of economic indicators suggested the UK economy was holding up better than expected after June’s vote to leave the European Union. It was up roughly 0.3 percent at $1.3304 and 84.37 pence per euro by 3.30pm on Monday (September 12). “The moves today are pretty small and we are in the middle of the range from Friday afternoon,” said Sam Lynton-Brown, a strategist with French bank BNP Paribas in London. The dollar rallied on Friday, hitting a one-week high of $1.3239 against sterling, as bets that U.S. interest rates will rise this year – perhaps even this month – were revived by comments from Boston Fed President Eric Rosengren. The pound had been on a winning streak up until last Tuesday, hitting a seven-week high of $1.3445 that left it more than 5 percent up from a three-decade low plumbed in July following Britain’s vote to leave the EU. But it has since fallen around 1.5 percent, having taken a hit last week after Bank of England Governor Mark Carney kept the option of further monetary easing on the table. It traded flat on Monday at $1.3271, close to Friday’s low of $1.3239. It was also flat at 84.70 pence per euro. The BoE meets on Thursday (September 15) and is not expected to announce new policy measures, having cut interest rates to record lows and reintroduced an asset-purchase programme last month. Inflation, wage, unemployment and retail sales data are all due before then. » Read about Ava Trade and learn how to trade in currency online.